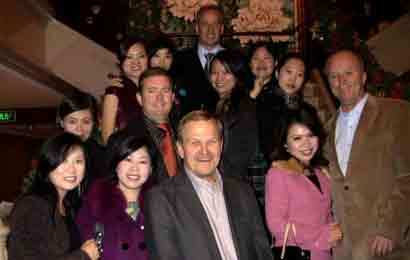 Our tour clients can find true love in attending our annual singles tour event. Are you seeking for true love with Foreign Women? You are just in the right place to find love and lasting marriage with one of the best dating sites. We are one of the leading matchmaking services the singles industry could lean on. We are, so far the best option for someone whose greatest endeavor is to find the woman he could call his own. We are a well-established service provider backed with over 22 years of experience in the field of dating and bridging the gap of foreign men and women to meet and fall in love. With the orderly upholding of this service, we have recorded a lot of successful marriages already. The effort of bringing both parties to one purpose enables us to help single men get paired or be matched to beautiful foreign women. This service serves as a bridge which connect western men with women of foreign influence. To sum it all, we are the brains of the success and ever-growing headway of matchmaking venture. 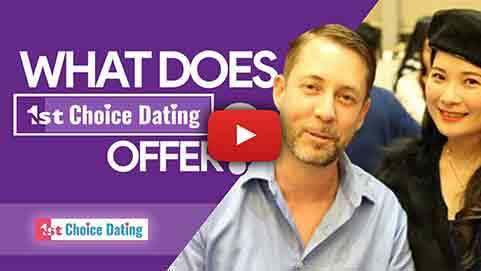 1st Choice Dating is just one of the websites you should pay attention to. We guarantee that we give out the best assistance in seeking for true love. This is your main portal in accessing the profiles of women involved in such service. To cut out lonesomeness, solitude and seclusion, giving 1st Choice Dating a chance is a MUST. Marriage-minded women - Only family-oriented women will have the opportunity to be in the service. These women are properly interviewed to meet your needs and interests. Before they can join, their information should be evaluated and assessed. Guidelines on how to meet the women - An article on how to meet women coming from foreign countries. This is a sure foundation on actually meeting the woman you are looking for. Professional Matchmakers - To make sure you’ll be matched to someone based on the information you provided upon your registration, professional matchmakers are present. They work fulltime to give the best partner you’re aiming for. Romance Tours - An affair where women and men will be gathered to meet and hopefully find their soulmate. This is usually a 1-week affair where you also get to tour the city where the event is held. Avail of our exciting singles tour now and meet thousands of single foreign women for dates. 1st Choice Dating holds Romance Tours annually. During our tours, you will meet hundreds of beautiful and qualified women. To make sure only marriage-minded women join the event, these women are pre-screened and interviewed beforehand by our staff and matchmakers. In our Romance Tours, socials will be observed which will be the time you'll see and talk to these gorgeous and lovely women. This introduction service is designed to help you attain your goal which is to marry the right person. Dating and meeting these women could be a something you are uncertain of; however, this experience will be a memorable one for YOU. We have personal translators provided to men who will be attending our Romance Tours. You will also be staying in an elegant hotel with other services fit to your interests. In addition, you will have a tour of the city where the event is held. Your safety in the tour is one of our main objectives so we make sure everything is well planned and organized. Register now in 1st Choice Dating and scan through the profile of Ukrainian Women, Asian Women, Russian Women, and Latin America Women. Get access with the women now and experience the best the 1st Choice Dating has to offer. Book for our Romance Tours and get reservations today!